Yesterday, I "saved" this little guy; It grew up in a building site near a non-paved alley, beside a pile of limestone. 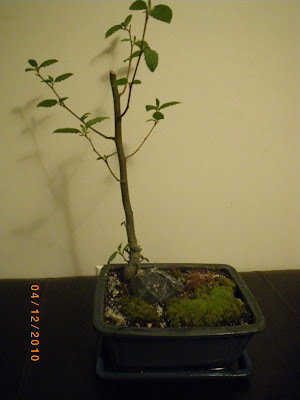 I planted it into a bonsai pot and I pruned it a little bit. 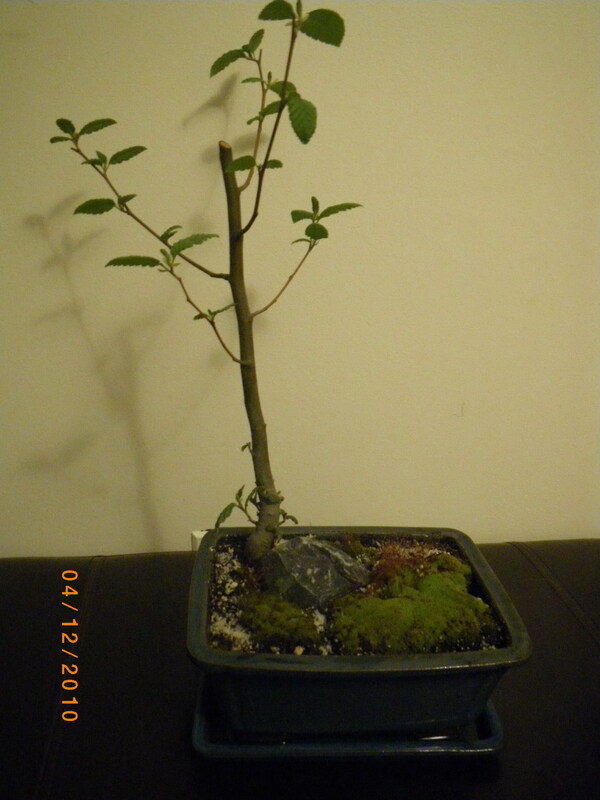 It look like a four- five years old Hornbeam (Carpinus) or Hazel. When I dug, I found that the roots have some small brown growths and I was wandering if the tree has some disease. Hmm .. Initial I thought that I found the world famous “diamond of the kitchen”, Truffle edible Fungi . Hmm, looks like Black Summer Truffle (do not have strong aroma), their shape is round, have brown color and only 1cm diameter. Usually, finding truffles takes a little luck and a lot of patience. Sometimes, like in my case, they just are there, and you know only when you look to the roots. 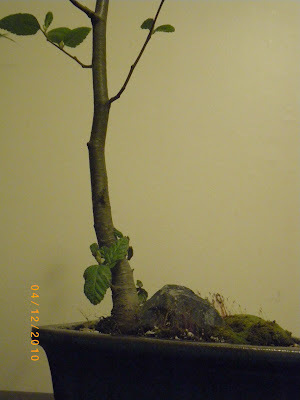 ”The trees prefer argillaceous or calcareous soils which are well drained and neutral or alkaline” and my tree, indeed, was growing near a pile of limestone. The more I studied, the more my “treasure” doesn’t look like a Truflle. 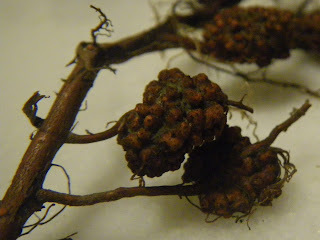 These root nodules are produced by Frankia bacteria which convert atmospheric nitrogen gas into ammonia. I’ve learn that this process is known as “Nitrogen fixation”, and Alnus is the only one tree from Betulaceea family with symbiotic relationship with the Frankia bacterium. ”This nitrogen-fixing bacterium absorbs nitrogen from the environment and fixes it into a form available to the tree. In return, the bacterium receives carbon which is produced by the tree through photosynthesis. This relationship, which improves the fertility of the soil environment, has established Alnus as an important pioneer species in ecological succession”.